Elizabeth A. Lalik | Littler Mendelson P.C. 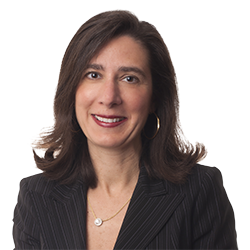 Elizabeth A. Lalik represents employers with respect to high profile or high risk matters spanning all aspects of employment law, whether executive compensation or discrimination claims, unfair competition, equal pay issues, or retaliation and whistleblowing claims (including EEO and False Claims Act retaliation). Beth successfully minimizes risks for her clients and resolves matters through both pre-litigation strategy (including complex and/or sensitive internal investigations) and litigation. Her practice resides in the Virginia/D.C./Maryland region but she has prevailed in courts up and down the Eastern seaboard. Allen v. Booz Allen Hamilton Inc.: Won complete early dismissal of case alleging breach of contract, violation of the D.C. Wage Payment and Collection Act, violation of the Maryland Wage Payment and Collection Act, negligent misrepresentation, and promissory estoppel in D.C. District Court and the D.C. Circuit. Eke v. Maxim Healthcare: Won complete early dismissal of New Jersey Conscientious Employee Protection Act and wrongful discharge claims. Rachael Burnett v. Sally Beauty Holdings, Inc.: Prevailed on demurrer in Virginia Circuit Court in harassment case alleging negligence and constructive wrongful discharge. Schlisserman, Cook, and Pereira v. PA Consulting Group, Inc.: Obtained complete dismissal of case on preliminary motion to dismiss and then motion for summary judgment in New York Supreme Court, Commercial Division, in case initially filed by three plaintiffs including female executive’s claims of breach of contract, discrimination, retaliation, and wrongful termination. Barnett v. PA Consulting Group, Inc.: Prevailed on motion for summary judgment in D.C. District Court with respect to female executive’s claims of gender and age discrimination. Bennett v. Sage Payment Solutions, Inc.: Won jury verdict following four day trial on executive’s claims of breach of employment contract, interference with prospective employment, and restrictive covenant claims, and prevailed on plaintiff's appeal to Supreme Court of Virginia. Beth speaks regularly before client and other audiences regarding a myriad of employment law issues, from recent state efforts in the paid leave and background check arenas, to government contracting issues, to FMLA and ADA concerns, to retaliation and whistleblowing issues, to complex internal investigations. Before joining Littler, Beth was a partner at an AmLaw 100 national law firm. 2017 Mid-Atlantic Employer Conference, Washington, D.C. The 2016 Election: What Does a Trump Victory Mean for Employers? Global Employer Institute - Littler Mendelson, Washington, D.C.